The Africa On Location Collection – part of the Epic Location Sets Package – is a menagerie of stunning, professionally photographed or graphic artist designed, Location Set photos from the heart of the African Veldt which capture the atmosphere and ambiance of the vast African landscape. Colorful African skies, stunning sunrises and sunsets – all with a splattering of wild animals residing in their natural habitats – is now at your fingertips. These unique scenes, taken while on a photo safari, are captured at precise angles which leave enough foreground space to seamlessly drop in your subject. 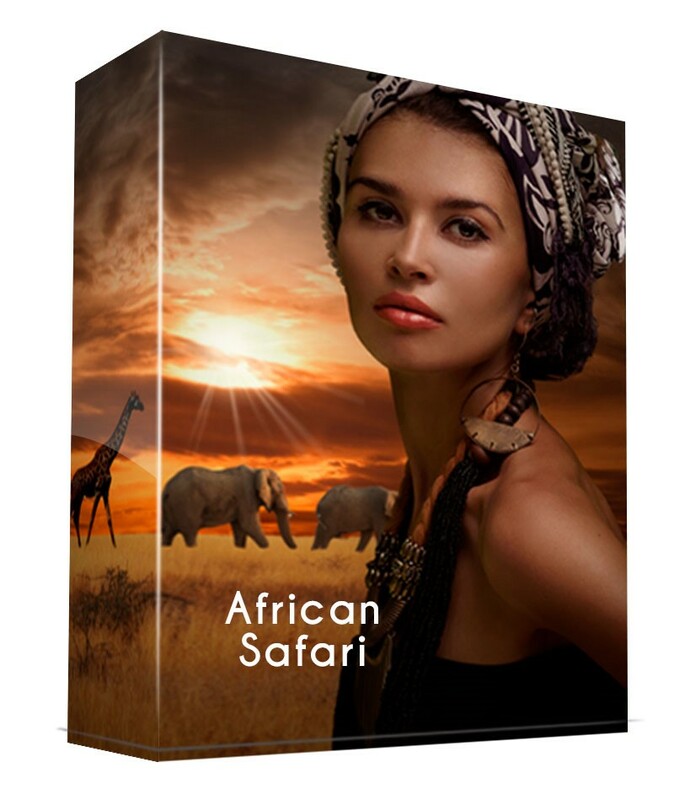 Combined with the magic of LayerCake Elements StudioMagic premier compositing panel for Adobe Photoshop (a Photoshop plugin, to be precise) placing your model into an African scene is only a few mouse clicks away. Africa On location is a collection of images. This collection is compatible with Adobe Photoshop; Adobe Photoshop Elements; as well as any other editing/compositing application which uses layers to craft a finished photograph. Tags: Advertising, Africa, Creatives, Design, Digital, Digital Compositing, Editors, Graphic Design, how to photoshop, Location Scouts, Location Sets, Magazines, Photographers, Photography, Photoshop, Photoshop Users, Professional Photographers. The Africa On Location Collection Slideshow Gallery shows each image inside this collection in full resolution detail.